When I taught primary school, our class used to learn the alphabet by making up keywords and acting them out. Watching the children learn their ABC’s by engaging their bodies and minds inspired me to write these books. Now as a mom, I am excited to teach my daughter about the animals from my husband’s birthplace while also learning the alphabet. A double whammy! Let’s face it, learning through movement works. Many of you ask about how to get started with practicing yoga with your children. For the next ten weeks, I will review a kids yoga resource book that I love and also offer a giveaway for most of them. 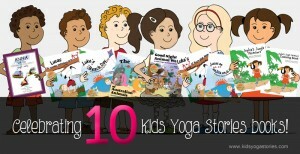 At the end, there will be a grand celebration of a Mega Kids Yoga Stories Contest Giveaway where the winner will choose ten Kids Yoga Stories books, just in time for the holidays. Oct 2nd: Scooter & Me Story and Movement DVDs, by Move with Me Action Adventures (Downloadable Giveaway) – Winner: Sheli H.
Oct 9th: The Yoga of Birth, by Katie Manitsas (Giveaway) – Winner: Linda T.
Oct 16th: Itsy Bitsy Yoga for Toddlers and Preschoolers, by Helen Garabedian (Giveaway) – Winner: Sofia J.
Oct 23rd: YogaKids, by Marsha Wenig (Giveaway) – Winner: Anna R.
Oct 30th: Creative Yoga for Children, by Adrienne Rawlinson (US Giveaway only) – Winner: Sofia O.
Nov 6th: Once Upon a Pose, by Donna Freeman (Giveaway) – Winner: Amy G.
Nov 13th: The Complete Idiots Guide to Yoga for Kids (Book Review + Video Giveaway) – Winner: Penny H.
Nov 20th: Imaginations, by Carolyn Clarke (Giveaway) – Winner: Jeanette R.
Nov 27th: OMSchooled, by Sarah Herrington (Giveaway) – Winner: Amy P.
Dec 4th: Yoga for Children, by Lisa Flynn (Giveaway to US/Canada) – Winner: Amira G.
Dec 11th: Mega Kids Yoga Stories 10-Book Holiday Giveaway – Winner: Meghan O.
Carolyn from KidsYoga101 – Winner: Ummul P.
Carrie from Crafty Moms Share – Winner: Brenda W.
Crystal from Crystal’s Tiny Treasures – Winner: Shannon G.
Leanna from All Done Monkey – Winner: Penny H.
MaryAnne from MamaSmiles Blog – Winner: Jenna O. 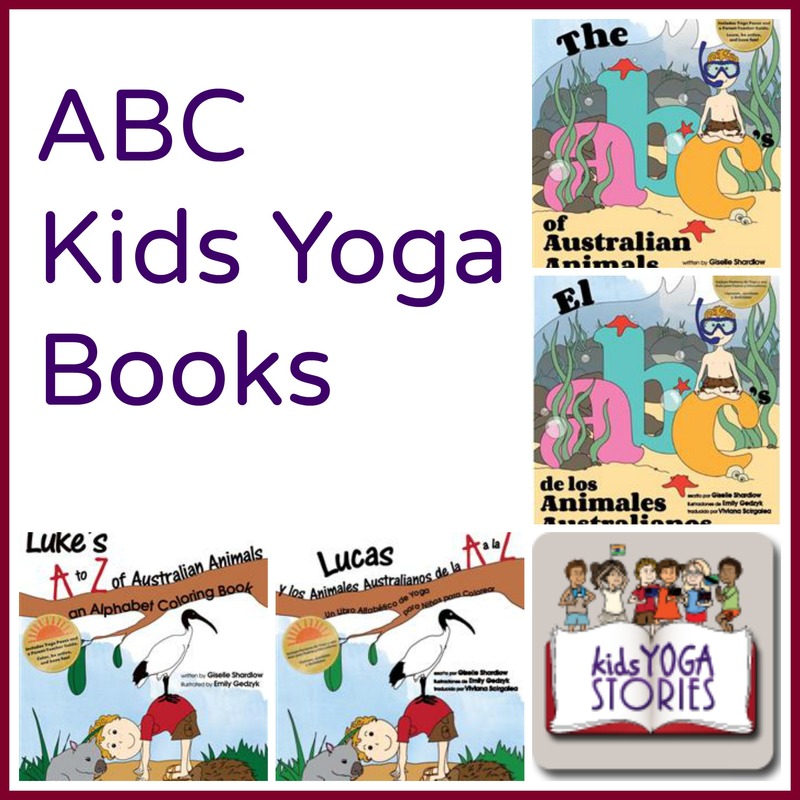 Thank you for joining us for the release of the ABC kids yoga stories. For further updates, sign up for our weekly Kids Yoga Stories Newsletter by adding your name and email to the box at the top of the page!